If staying on-site at Leeds Bradford airport is an idea that floats your boat; but you don't want to pay the often expensive price that official car parks can charge, you've come to the right place. When you book with Holiday Extras you can save up to 70% off the price you'd pay if you just turned up. The Short Stay car park at Leeds Bradford Airport is convenient, whilst remaining affordable. Transfers aren't needed, it's just a 1-2 minute walk to the terminal and the security measures are up there with the best. 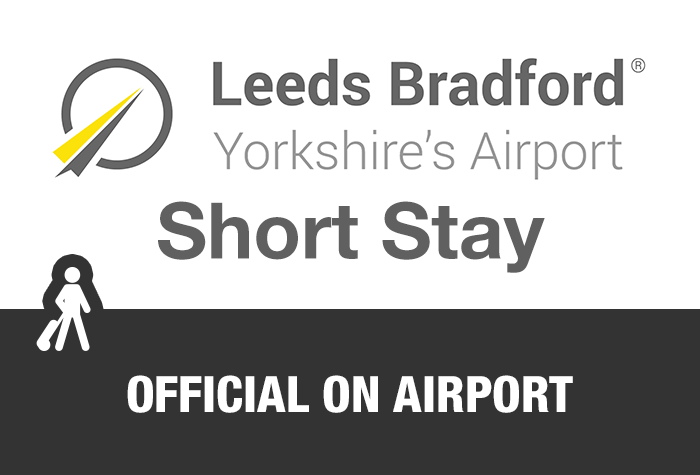 If you're after a car park that doesn't need transfers and puts you in control, then Short Stay is the Leeds Bradford airport parking option for you. Pick a spot, grab your bags and go at one of our closest car parks to the terminal - just a 2-minute walk away. Convenience is key at Leeds Bradford Short Stay. When you arrive, just pull up to the barrier where your registration will be recognised and the barrier will lift, allowing you to drive through. Pick a space and stroll to the terminal in your own time. With no need for transfers, you stay in complete control of your own schedule. Short Stay has it covered when it comes to the safety of your car. With entry and exit barriers, CCTV and regular staff patrols, you get to relax knowing everything is in hand while you're away. Even better, you keep your own keys for added peace of mind. Accessibility: Blue Badge spaces are available on a first come first served basis, you just need to have a copy of your badge visible in the car. It's just as stress-free when you get back. Your car will be exactly where you left it, so you'll just need to hop in and head home - it's that easy! For a cost-effective car park that doesn't compromise on convenience, why not book Leeds Bradford Short Stay today? The car park has a height limit of 1.9 metres. When you're ready to fly, transfers to the airport aren't needed as the terminal is just a 2-minute walk away. We booked onsite parking facilities at Leeds/Bradford Airport. We needed to use disabled parking, which we found a space quite easily and were very impressed with that, as at other airports weâ€ve used in the past, all disabled parking has always been full. Excellent communication and very convenient parking when travelling from Leeds Bradford Airport. Great location, on site parking. Only a 2 minute walk to the airport. Our customers rated Short Stay Parking on average 9/10 (130 reviews). Read Short Stay Parking reviews.